Tech startup conference and ecosystem accelerator AfricArena has expanded its world tour to include Abidjan, Cairo and Kigali. In a statement issued after its 2019 launch event yesterday (15 April) in Cape Town, AfricArena founder Christophe Viarnaud announced said AfricArena will, in a bid to find the continent’s best startups, add the three cities to its global tour. “As we’ve done in 2018, we will also take some of the AfricArena Challenge winners on an investor roadshow to Paris, San Francisco and New York in May,” he said. Viarnaud added that with a fully open collaboration model bringing an increasing number of sponsors and ecosystem partners, AfricArena is committed to support the success of the African tech ecosystem by attracting investors and corporates. AfricArena will on 30 April kick off its world tour which will see the organisation visit 12 African cities, including Nairobi, Kigali, Abidjan, Casablanca, Lagos, Tunis, Dakar, Cairo, Johannesburg and Cape Town. Whilst in each city, a pitch battle will be held, giving each startup the opportunity to present their products in a three minute-long pitch which will be followed by a Q&A session. One challenge winner per city will be pre-selected and invited to the AfricArena Conference in November in Cape Town. This year’s summit — the third consecutive edition — will be held on 11 and 12 November in Cape Town. The conference will focus on artificial intelligence (AI) and machine learning, AI and tech for god, smart cities, agritech, fintech and financial inclusion, privacy and ethics, as well as traveltech. The conference’s several open innovation challenges will see African startups compete in front of global investors and corporates. The 2018 edition saw more than 80 startups pitch to over 150 investors with 25 countries being represented. One of these was drug authentication startup RxALL, which won the AfricArena 2018 Deep Tech Challenge. Last month the US-based startup — whose founders include its Nigerian CEO Adebayo Alonge — won the £100 000 grand prize in the Hello Tomorrow Global Challenge. Viarnaud said the summit had over $2.3-million in deal impact and “much more” in ongoing deals. Next month, AfricArena will be taking its 2018 Open innovation winners to French tech summit VivaTech. The summit will for the second time feature a dedicated Afric@Tech section where 50 African startups from across four sectors will showcase their solutions. 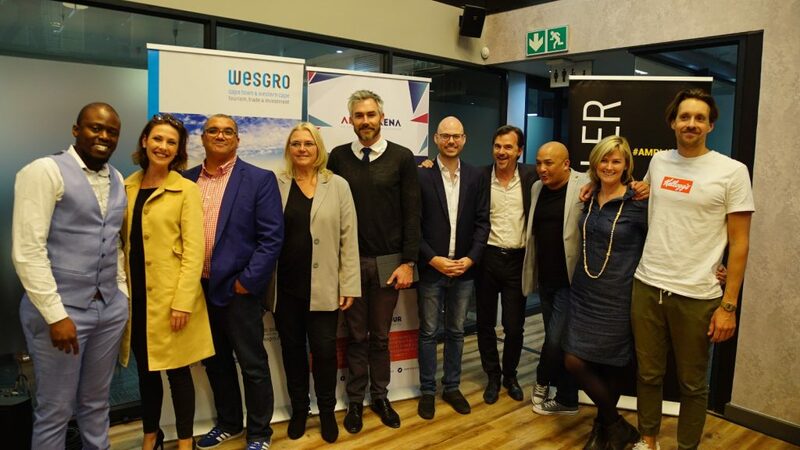 Yesterday’s launch event, which was held in partnership with Wesgro and Silicon Cape, featured a panel discussion on The Next $1-billion Investment in Tech Startups which included Viarnaud, Knife Capital co-managing partner Andrea Böhmert, Cape Talk’s Kieno Kammies, Aerobotics COO Timothy Willis and DataProphet country sales manager Isaac Matsa.